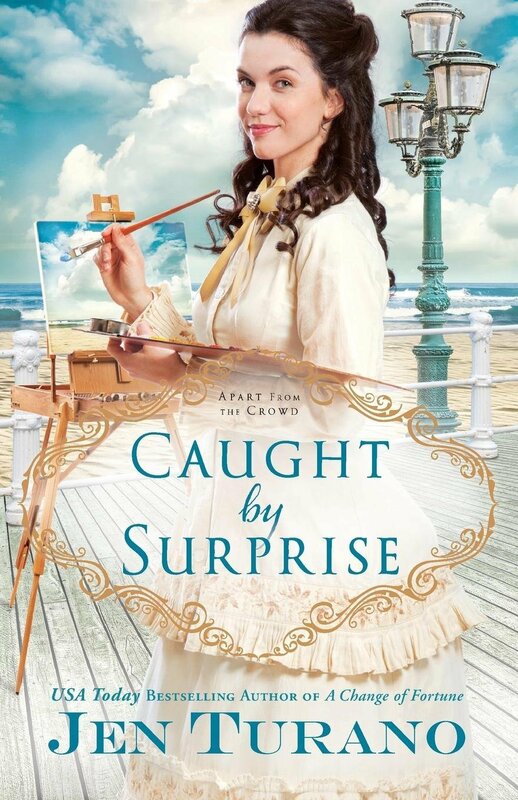 Caught By Surprise by Jen Turano is another absolutely delightful Christian historical offering. It is the third book in the Apart From The Crowd series but can be read as a stand-alone. I really enjoyed meeting up with familiar faces. The book has an air of frivolity with much light hearted humor that has the reader smiling throughout. Botched attempts at kidnap are greeted with amusement by both the heroine, who is very much a modern miss, and the reader. Women play a prominent role in the novel. Their outlook is philanthropic and forward thinking. A school is set up to improve the lot of young women. “You will attend school… because it’ll give you a future.” With education comes more choice and the possibility of breaking out of poverty. Friendships begun in childhood continue. Marriage proposals abound, as do lists as to why marriage is such a good idea – much to the amusement of the characters and reader. God is acknowledged to be working all things together for good – but we can only see this when we look backwards. There is a wonderful mix of characters from gossiping aunts to jealous cousins to marriage arrangers to hearts of gold. The eclectic mix brings much amusement and joy to the reader. I really loved Caught by Surprise. It warmed my heart and soul and amused my mind. I love all Jen Turano’s books – always delightful and entertaining – perfect for any time of year. I received this book for free from Net Galley. A favourable review was not required and all views expressed are my own.